KTM 125 Duke, entry-level naked sports from Austrian bike maker in India, has observed a price hike by about Rs 7,000. This increase in pricing is effective across the country from 1st April 2019. 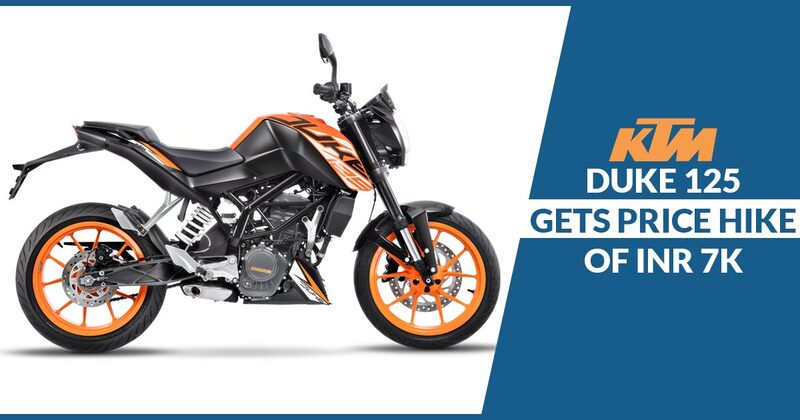 The motorcycle was debuted in India in November 2018 at an introductory price of Rs.1.18 lakhs. The registered price hike for the 125 Duke varies from minimum INR 6,800 to maximum INR 8,390. In Delhi, the price of the motorcycle with an increase of INR 6,800 stands at 1.25 lakh, ex-sh. While it is highest in Karnataka with a rise of INR 8,390 in pricing at INR 1.26 lakhs. Offered Duke range from KTM in India consists of Duke 390, 250, 200 and 125. The KTM 125 Duke bike is the entry-level, lowest capacity, Duke. However, in its segment, it is the most powerful motorcycle. Also, it is the most selling Duke and the reason behind is probably it's affordable pricing. Based on a lightweight trellis frame, the KTM Duke 125 suspends over 43mm USD forks upfront with an aluminium swingarm along with a 10-way adjustable monoshock at the rear. 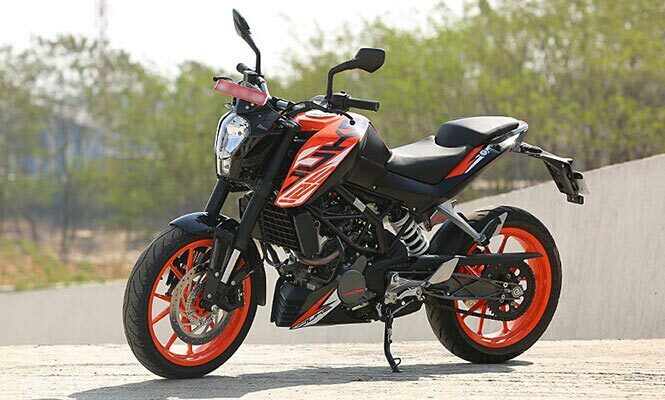 The parts and features are shared units with the bigger sibling the KTM Duke 200 bike though there are an array of features which are being offered first in class with this baby Duke. Sits on 17” alloy wheels with 110/70 front and 150/60 rear tyres, the KTM Duke 125 is controlled via 300mm disc brake with radial four-piston callipers in the front and 230mm disc unit with floating single piston calliper at the rear. Also, the streetfighter gets the facility of Bosch sourced single-channel ABS unit for precise braking. Dimensionally, it measures 1,993mm in length, 789mm in width and 1,083mm in height. While settled at the seat height of 818mm, the 125 Duke features fuel tank of capacity 10.2 litre and weight 148kgs (Dry weight). KTM Duke 125 is powered by a 124.7cc, liquid cooled, single cylinder, engine. It is rated to generate 14.5 PS at 9500rpm and deliver 12Nm of peak torque at 8000 rpm with the aids of a mated 6-speed gearbox. With this engine, the Duke 125 is capable of returning an estimated fuel efficiency of 35kmpl while its top speed hovers around 110kmph. Also, the baby Duke can easily accelerate from a standstill position to 60kmph in 6 seconds and up to 100kmph in just 25 seconds. However, in its segment, the 125 Duke does not seek any direct competition though it takes combat with the likes of Yamaha MT15, Suzuki Gixxer, etc.